This is an ancient wall, exact builder unknown. We are not even sure how they moved the blocks and fitted them so tightly. 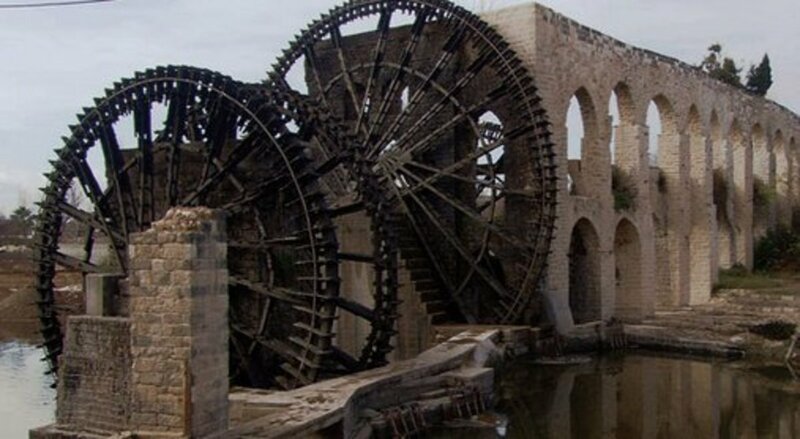 Romans used a water wheel to lift large amounts of water up to the level of their aqueducts that then delivered it by gravity to regions far from the source. The world contains many mysteries that make many scratch their heads in wonderment as to how it was done in a more primitive era as some of these ancient technological wonders can't be duplicated even today and others that are considered to be way ahead of their time. 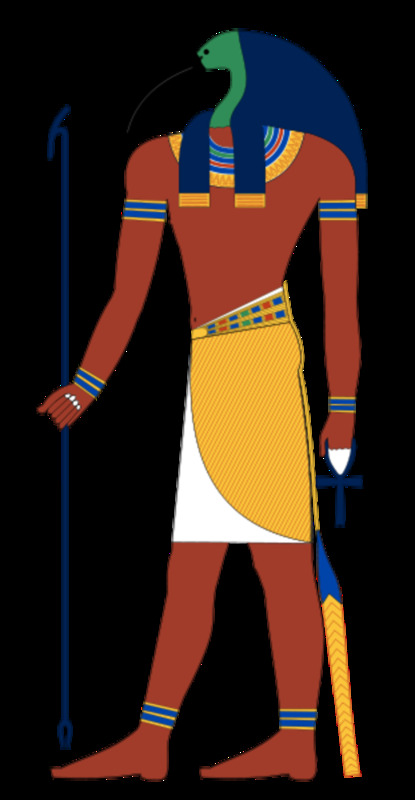 Hints of their origins are also found in sacred writings and carry over technological items into acknowledged ancient cultures like the Greeks and their use of hydraulics and steam or the ancient Egyptian dynasties and their magnificent pyramids. But it does not end here. Recently, a bronze clockwork was dredged up from the depth of the Mediterranean Sea that turns out to have been a working mechanical clockwork orrey with all the known planets of the time. It shows no signs of being a work in process, but an object that has been perfected and even mass produced; yet is the only example we have of an object like this described in the literature of the time. As we advance in our understanding, we uncover some of the mysteries, but there are far more that remain unsolved. As an example, we have solved the mystery of the statues of Easter Island, which are massive and heavy. Perhaps some of what we learned from there applies to more ancient mysteries elsewhere. There are items such as a non-rusting iron pillar in India that long predates modern culture and Indian civilization itself that is one of the oldest continuous cultures on Earth. Not only that, the Vedas and Egyptian hieroglyphs contains descriptions of devices that can be construed as planes, jets, helicopters, rockets and nuclear weapons. This is somewhat vindicated in the plethora of ancient small fetishes that look like contemporary jets. The thirteen crystal skulls that are carved out of single large crystal chunks of silicon dioxide, otherwise known as, quartz are a challenge to the imagination considering that this is one of the hardest substances around. They are all perfect in craving and smoothness and ancient, coming from a time when it is thought that people were no more advanced than being able to manufacture Clovis points. The region once known as Persia, unearthed an item now called the Bhagdad battery and it dates from a time when it is thought that no one knew anything about electrical energy beyond lightning in thunderstorms. 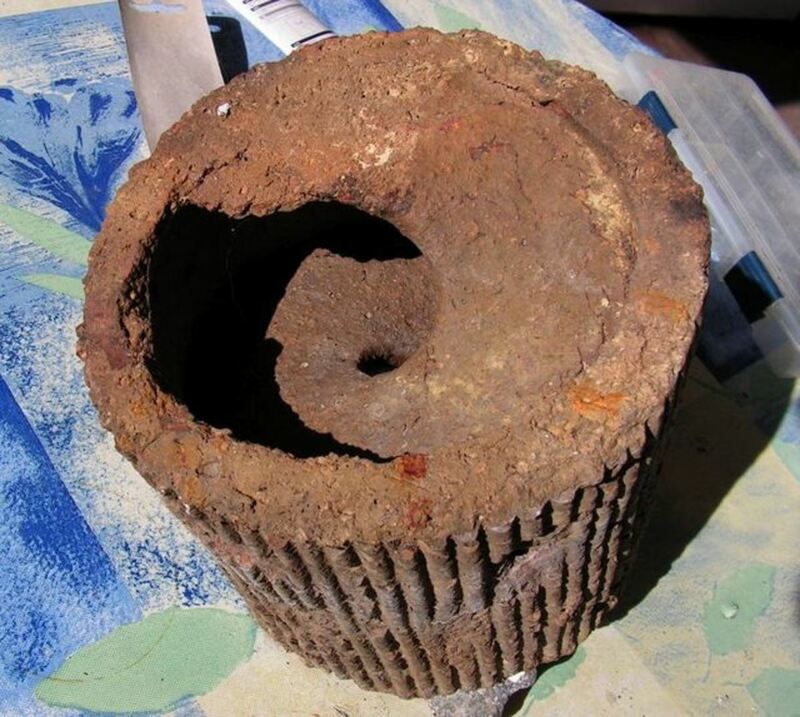 There are fossilized remains of what looks like a battery, parts of a laser and other electrical equipment in places where they should not exist at all. 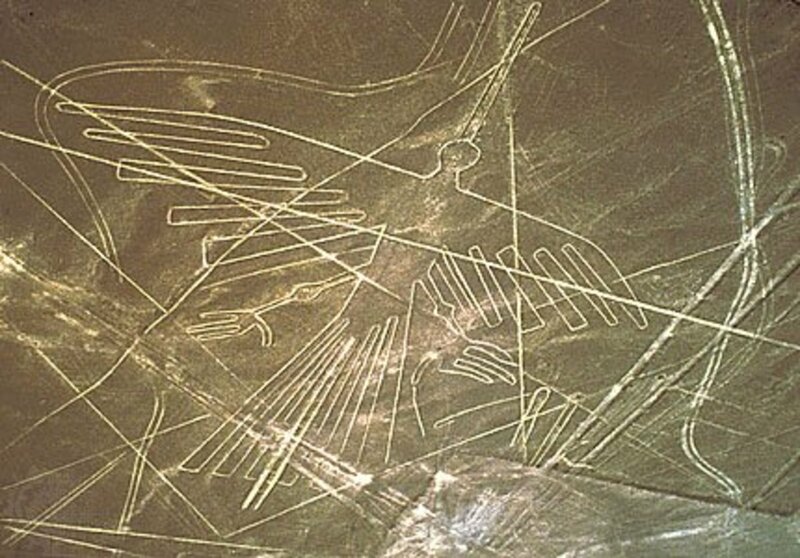 The Nazca Lines of Peru were a mystery until a German archeoastronomer solved the mystery; that is except the date of manufacture, which is apparently ancient due to the natural reduction of iron oxide in this dry and hot mountainous region. 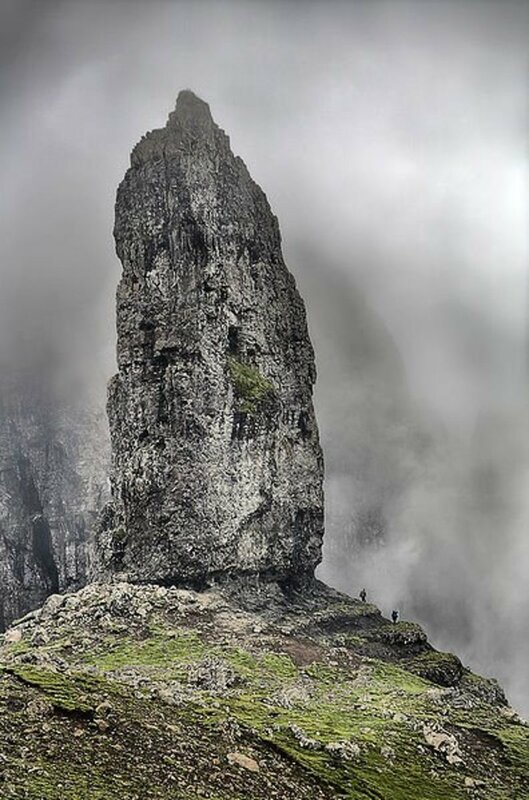 The magnificent high mountain structures at Macchu Pichu are a mystery of construction due to the massive interlocking stones and their extreme location high in the Andes. How did they get there? How were they so tightly fit together that not even a sliver of metal can fit between stones that weigh up to eighteen tons? And then there is Stonehenge. This raises even more questions. This one is so old that archeoastronomers have been able to determine that it was built in a time when the axial tilt of the Earth was different than it is now. In the middle of the Pacific Ocean there exist artificial islands called Nan Madol, made up from cross laid basalt columns. These massive columns are extremely heavy and challenge our imagination as to how they got there, as no basalt in the area and then were manipulated into place to form an artificial archipelago that has become overgrown with natural flora and fauna. Numerous metallic artifacts of sophisticated alloys that we have just been able to duplicate recently are found in many regions. There are numerous underwater sites, like off the coasts of Japan (1) and India as well that challenge our understanding of history with their mute mystery. Just who left these artifacts and what does it do to our understanding of history? What follows is a selection of some of the interesting finds which are but a few of what exists that tantalize us to this day. Greek hydraulics and steam existed more than 2,000 years before they caught on in Britain in the late 18th century. The Greeks even invented a steam turbine 2,400 years before Britain and were just one step from developing a full fledged steam engine. Though the Greeks did not use steam to drive anything other than toys and demonstrations, they nonetheless were aware that it could serve as a means of propulsion. However, this was not shared with the population as a whole and remained the plaything of the Greek court. A massive temple built to the goddess Diana erected at an impact site had hydraulically activated massive doors that appeared to open on their own to worshipers to reveal the massive image of the goddess inside. Hydraulics was usually used for irrigation in the hilly and mountainous terrain of Greece. Information about hydraulics comes from written accounts and from myth, particularly the myths of Heracles (Hercules). The stopping of floods and the cleaning of the Augean stables are some of the mythic sources of being able to control massive amounts of water. Egyptian dynasties that were obsessed with sky watching, built their magnificent pyramids. The oldest of them were constructed in the 4th dynastic period and contain such massive blocks like the granite plug, which cannot even be budged by modern technology. Further, the layout of the main pyramids as a group is patterned after Orion. It is conceded that great surveying skills were needed to map out and construct the whole complex. Also there is an eighty ton obelisk still on its side that they would have erected were it not cracked. How they were to move and stand it up are still much of a mystery. The obelisk still lies on its side in the quarry where it was carved. The great Giza plateau of Egypt is testament to humanities obsession with events celestial. A lot of research has gone into this area since the times of Napoleon. The Pyramids, viewed from the air, map out an almost exact duplicate of the principle stars of the constellation of Orion. Furthermore, the great pyramid in its day marked the passage of Sirius and alpha Draconis. The descending passage was completed when alpha Draconis was visible at the lower end and looking up and directly north to the star. In the year 2004, Polaris will be visible from the bottom of the descending passage. The intervening time of 4,144 years between the two alignments is recapitulated in the number of pyramid inches from the outer casing surface, now stripped away, to the bottom of the descending passage where it angles to the level. How these ancient civilizations could move and assemble such massive structures as well as accurately align them is still a hotly debated subject. Pyramids are not limited to Egypt. In central Mexico is Teotihuacan, an abandoned massive city of pyramids that housed a large population 1,500 years ago. The pyramids rival those of Egypt in size and serve the same purpose, especially in astronomical observations. A world wide disaster caused starvation and abandonment of the city. It remains mostly intact because it was never reinhabited. Both the Aztecs and Maya built pyramid cities. Though not as large as Egyptian or Teotihuacan, they served the same astronomical purposes. The Egyptians also used pyramids for burial purposes, whereas the Aztecs and Maya practiced human sacrifice. 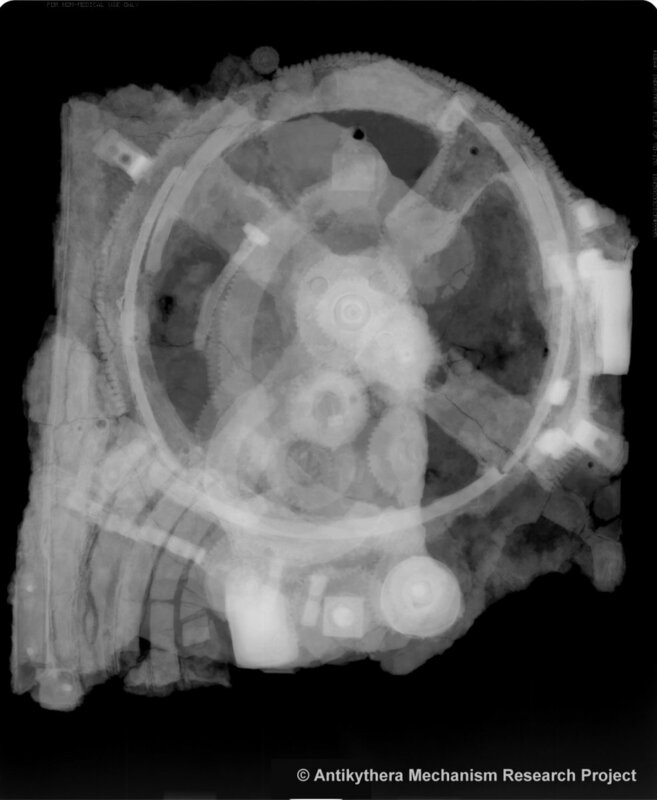 The Antikythera mechanism is remarkable that it appears to be a finished and refined product rather than a work in progress. It is described in Roman and Greek literature, but was regarded as a myth until the discovery of one a century ago. It is a fine clockwork mechanism that shows signs of highly accurate machining that were regarded as a development of 19th century technology. Using the original, a modern day counterpart was manufactured and tested and found to be highly accurate for what it does. This one device shows that there was a skill level that existed in ancient times that was lost over the following centuries only to be painstakingly rediscovered with the advent of the Renaissance and industrial revolution. As the Antikythera mechanism is now known to be a real ancient device, it makes many people wonder what else existed by way of mechanical devices that we read about in world myths, such as in the Vedas. Easter Island is the home of antique statue gods that were erected shortly before the arrival of European sea going explorers. The single island is dotted with massive stone statues of elongated and stylized faces, some full trunk statues and others with mysterious hats or head-dress. It is now known with meticulous research that these were carved in situe from the central extinct volcanic flanks, separated from the rock be heating and pouring water to crack the rock and then rolled to the shoreline on the felled trunks of palm trees. They were then erected by shear brute force and plenty of rope. They were erected facing the sea. The building campaign had been so obsessive that it destroyed the local ecology that has not since recovered fully, centuries later. After the land was denuded and the fishing dried up, people began to starve and this is recorded in carved emaciated fetishes and the late statues. There are even signs of a rebellion against the building program during its final days. The arriving Europeans found the remnant of an emaciated and diseased population on an ecologically ruined island that recounted the story of their recent past. It stands as a mute testament as to what ecological destruction can do and we should not ignore the warning. There exists an iron pillar in India that does not rust like all other iron and steel made now with the exception of stainless steel. For the longest time, the mystery perplexed scientists who wondered how such an item could exist from a more primitive past. The pillar is thought to be at least 1,600 years old, possibly older. Recently, experts at the Indian Institute of Technology have solved the mystery behind the iron pillar in Delhi, which has never corroded despite the capital city's copious amounts of Monsoon derived rain. Metallurgists at Kanpur Indian Institute of Technology have discovered a thin layer of misawite over the entire surface, a compound of iron, oxygen, phosphorus and hydrogen, which has kept the cast iron pillar from rusting through as does contemporary iron. According to the scientists, the protective film developed within three years after the erecting of the pillar and has been accumulating ever since. After 1,600 years, the film has grown to about two hundred microns thick, according to the Indian Institute of Technology. The protective film was formed catalytically by the presence of high amounts of phosphorus in the iron, which doffers from modern iron containing little phosphorus. The combination of iron, phosphorus, hydrogen and oxygen on the surface protected the iron underneath when the misawite formed (3). We could use this technology today and duplicate it to create long lasting iron parts that do not corrode. This would be a very environmentally sound approach. It may not have been the intent of the makers of the pillar, but we could intentionally do it now based on the reversed engineering from the Kanpur Indian Institute of Technology. For as long as there have been people, there has been the desire to fly like the birds. Mythology around the world abounds with people flying by various means and flying creatures of all kinds that are not birds. In 1898, a peculiar six-inch wooden object was found in a tomb at Saqquara, Egypt. 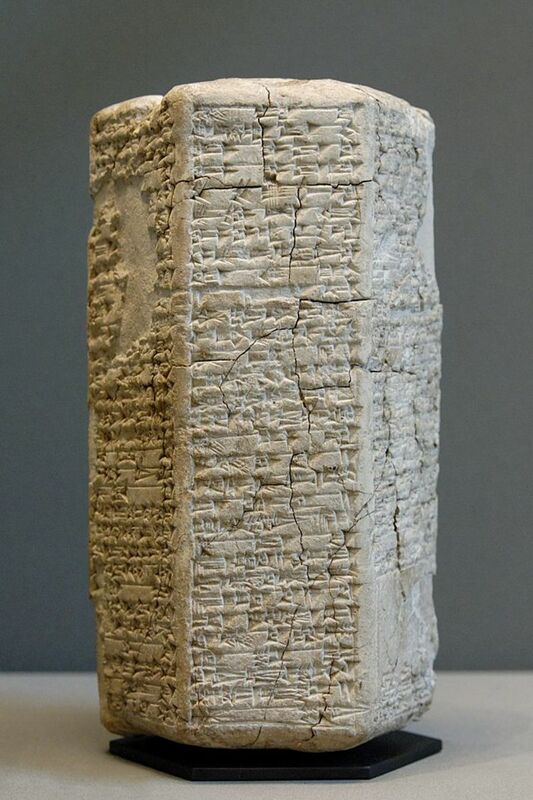 The object was dated to about 200 BCE. It had a body like a fuselage, seven inch wings that curve downward slightly, a fixed rudder and a tail. It has the appearance of a modern light plane like a Cessna or a glider. It is not known if it was ever put to the test to see if it could fly like wooden toy airplane models of today. Skulls are humanity’s foremost symbol of death, used right up to contemporary times, and are a recurrent, powerful icon in the visual arts of all cultures over the planet. Thirteen crystal skulls of apparently ancient origin have been found in parts of Mexico, Central America and South America, which comprise one of the most curious and mysterious archaeological finds of 20th Century. They were found near the ancient ruins of the Maya and Aztec civilizations with some evidence linking the skulls with the pre-existing Olmecs and the Incas in Peru. They are a mystery as profound as the Pyramids of Egypt, the Nazca Lines of Peru, or Stonehenge in Britain. Some of these skulls are believed to be between 5,000 to 36,000 years old. Even if they are just 5,000 years old, this is well in advance of civilizations that could work with such material. Today we would use lasers to sculpt such material. Quartz crystal is not nearly as easily worked as obsidian, which is the material we find in abundance and in common use in all of these areas. Many indigenous peoples speak of their remarkable magical and healing power, but nobody really knows where they came from or what they were originally used for (4). Most of them are sequestered in museums today. There may be more in existence that are either hidden or still undiscovered and lost. Part of the problem is the destruction of these later cultures by the Conquistadors in the 15th and 16th centuries, taking with the destruction a lot of knowledge. Clovis points have been dated from 16,000 to 13,000 years ago in Canada and the US during the last days of the ice age and then they disappeared out of the geologic record. They are made primarily from obsidian and were fixed to short shafts that could be rapidly loaded onto the end of longer shafts. Clovis hunters could thus reload quickly and attack prey repeatedly. For the day, they were sophisticated hunting tools and they were traded far and wide. But during the extinction event that occurred 12,500 to 12,900 years ago, the use of Clovis points ends abruptly along with mastodons, horses, camels, ground sloths and large animals found nowhere else (5). The end of the last ice age saw a huge melt-down of land-locked glaciers that raised ocean levels by some four hundred feet, separating the continents and allegedly sinking Atlantis. 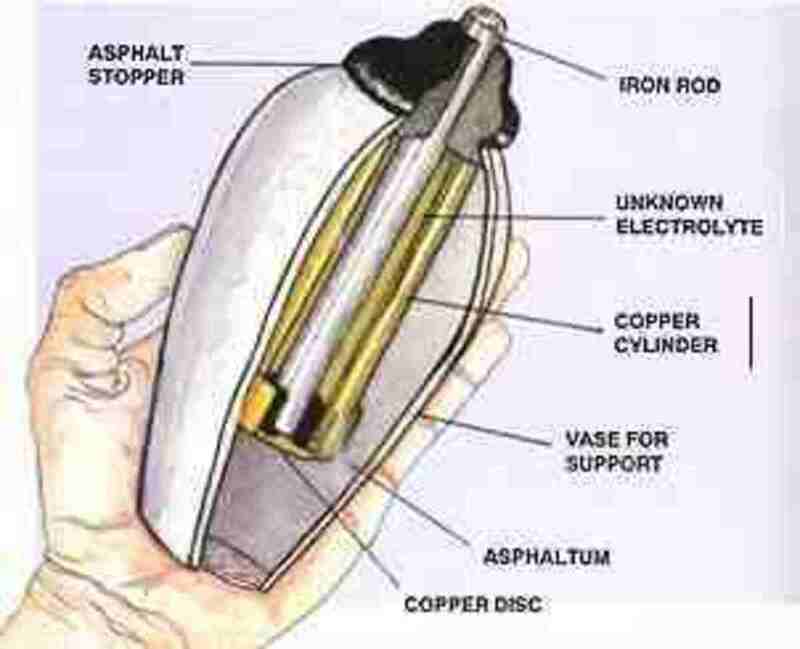 In ancient Persia there existed a pottery vessel containing tar, an anode and cathode; basic parts for a simple battery. This curious artifact suggests that someone knew about electricity and having such a device suggests that they used it as well. No corresponding electrical devices have been found, which poses questions as to what it was used for. Some suggested that it was used for gold plating other metallic objects. This little fist sized jar in Baghdad suggests that Volta didn't invent the battery at all, but merely rediscovered the process. It was found, with several others similar jars, at a place called Khujut Rabu, just outside Baghdad. They are believed to be about 2,000 years old, consisting of an earthenware jar, an asphalt stopper, an iron rod surrounded by a copper cylinder inside the jar. It needs only to be filled with an acidic or alkaline solution to produce electricity. The Nazca plains are etched with curious lines going in all possible directions. In addition, there are pictograms of birds, monkeys, insects and spiders. 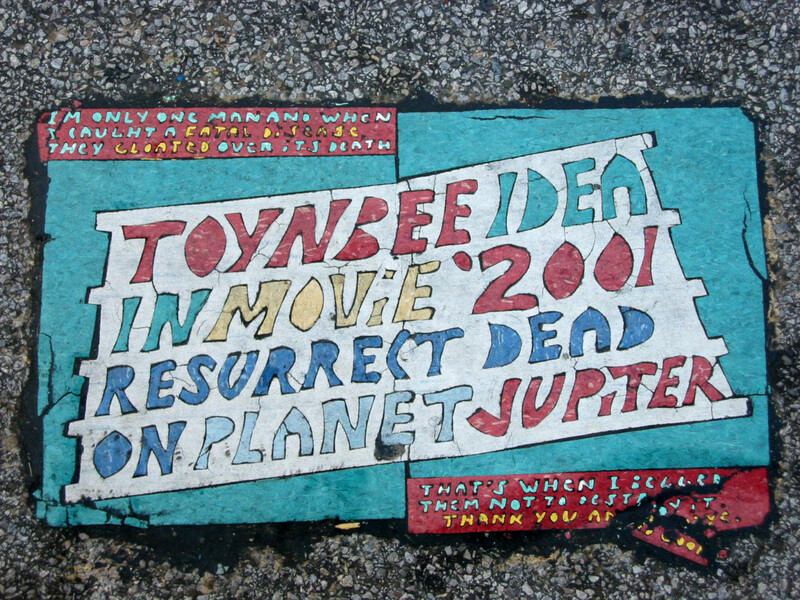 These have been interpreted by some such as Von Daniken as landing strips for UFOs or ancient aircraft, complete with runway markers in the form of birds, insects and animals. Others speculate that these vast images that can only be seen from the air, suggest that these formed markers for ancient pilots that flew aircraft. The lines themselves have been proven to be sight lines for principle stars for certain times of the year. This proved to employ some scientific detective work as the sight lines apply to stars as viewed in ancient times. Due to precession and stellar drift, they no longer sight to the stars at the same time of the year as in the past. It is perhaps this reason why they were eventually abandoned. In ancient times, the climate was much different than today. The region that is now the driest desert on Earth was once a more habitable place when the climate was different. The impressive remains of Machu Picchu stand high in the Andes Mountains, giving it a great view of the surrounding mountains and of the cosmos by night and day. Although much of it is in ruins, its location and orientation suggests that it was used as an observatory by the ancients. It is built with huge, tightly interlocking stones that are so large and heavy; we can't even move them today with our present technology. Perched on a mountain top, it is difficult to reach due to the steep climb and the city’s extreme height. It is in an ideal location to watch the heavens. But we have one thing in common with Machu Picchu insofar as we also place our best observatories atop of mountains. Machu Picchu is so situated that it sights to natural mountain peaks where the sun can be sighted rising or setting during the equinoxes and solstices. Locating Machu Picchu at this precise spot took incredible observational skills and patience on the part of someone and then to manipulate huge stones so precisely that observations could be accurately plotted ever after is astonishing. Machu Picchu literally takes one's breath away in more ways than one. If the site was not astonishing enough, the granite interlocking blocks in the construction are huge, tightly fitting and weigh up to fifty tons. Even on a flat surface we struggle to move anything at just twenty tons and then with extreme care and deliberation. But these are atop a high mountain on treacherous terrain and they interlock so tightly that not even a sharp knife can be fit in the cracks between stones. 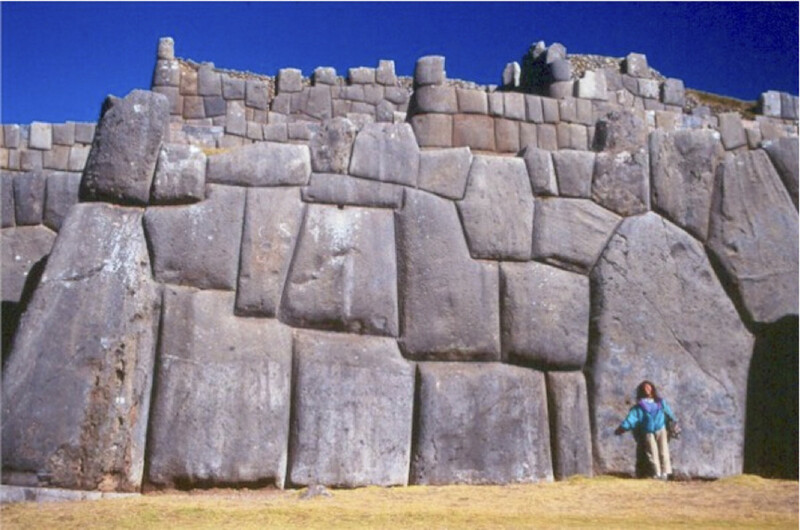 Who carved these granite blocks, which is one of the hardest materials on Earth? Who lifted them into precise location? The remains are such that the Spanish Conquistadors could do nothing to remove it during Pissarro’s conquest of the Inca. Part of their mission was to destroy all traces of the culture in the Christianization of the nation. Rhey could not destroy the most massive parts of Machu Picchu, which endure to this day as a mystery as to who the builders were. As well as marking the four celestial times of the season, Machu Picchu boasts a pillar where the sun casts no shadow at the spring and fall equinox. On either side of the equinoctial times, the sun moves north or south due to Machu Picchu's location (6). Stonehenge is a megalithic monument on the Salisbury Plain in Southern England, composed mainly of thirty upright stones called sarsens. Each stone is over ten feet tall and weigh up to 26 tons and are arranged in a circle, with thirty, six ton lintels perched horizontally atop the sarsens in a continuous circle. There are gaps in the lintels as some have fallen off. There is also an inner circle composed of similar stones, also constructed in post and lintel fashion. In the 1940s and 1950s, Richard John Copland Atkinson proposed that construction occurred in five distinct phases, which he labeled Stonehenge I, II, IIIa, IIIb, and IIIc. This sequence has recently been revised in Archaeological Report (9). Constructed without the use of draft animals and shaped by stone tools, Stonehenge was erected many miles from the quarry from which the stones came. It has recently been discovered that the stones were floated by boat, suggesting that some of the stones came from further away as one was found sunken in a shallow natural harbor with wood under it. From there they were moved overland by means unknown. It is an amazing feat of engineering, and many stories, both old ones and more recent, frequently name Merlin the magician as this engineer. This is due largely to Giraldus Cambrensis, a historian of the 12th century, who wrote a book titled "The History and Topography of Ireland". Giraldus Cambrensis called Stonehenge "The Giant's Dance," because he had heard stories that giants brought the stones from Africa to Ireland, and built the monument by some accounts near the castle of O'Meara. Later, Giraldus Cambrensis said, Aurelius Ambrosius, king of the Britons, had Merlin bring the stones to Britain. However, the archaeological evidence at Stonehenge simply does not support an Arthurian date of construction. The archaeology points to a construction date between 5,000 and 3,000 years ago Stonehenge is angled such that on the equinoxes and the solstices, the sun rising over the horizon appears to be perfectly placed between gaps in the megaliths. Further, crucial alignments with some stones suggest that it was built when the axial tilt of the Earth was greater than it is now. This points to a time much more distant in the past than the time of Aurelius Ambrosius. This is doubtless not an accident, and probably contributed to the stories of its mysterious origins. Gerald Hawkins, a Professor of Astronomy, concluded that Stonehenge was a sophisticated astronomical observatory designed to predict eclipses as well as the equinoxes and solstices (10). The positioning of the stones provides a wealth of information, as does the choice of the site itself. Recent experiments with a complete Styrofoam replica were done and vindicated a lot of ideas, particularly about the summer solstice. Using an artificial sun, they vindicated other points as well. If you can see the alignment, general relationship, and the use of these stones then you will know the reason for the construction. The author, and other astronomers, discovered the 56-year cycle of eclipses by decoding Stonehenge! Someone in the deep past was already aware of them. There exists artificial islands made up from cross and parallel laid basalt columns, some of them stacked as if to make buildings. Over ninety artificial islands were built. Rectangular islets were constructed of basalt columns on the reef flat next to Temwen Island in Pohnpei’s lagoon. Basalt columns are not indigenous to the area and had to be imported from a great distance over the ocean. Nan Madol is a ruined city that lies off the eastern shore of the island of Pohnpei in Micronesia. Little can be verified today about the megalithic construction of this site too much has been lost to history. We only have the myths of the locals to go on and limited means to date the site. The local myth holds that a magician that lived on the natural part of the island flew the basalt logs in and placed them in the arrangements we now see. The artificial islands then became the residences of royalty. Underwater archeological finds around the world indicate an earlier civilization existed along a now vanished coastline some 400 feet lower than the current one (8). A great world catastrophe wiped out the ancient civilization in stages around the world. Remnants managed to survive until about 6,000 BC. Finds off the coast of Yonaguni, Japan (1), off the coast of Bengal, India, on the bottom of the Mediterranean Sea, Between England and France, off the Coast of Bermuda and Venezuela demonstrate that an advanced civilization existed prior to 6,000 BC. Some of the finds are unmistakably artificial and date back almost 13,000 years ago. Among the finds are granite carvings of lions, pottery, walls that run for a hundred miles, beads, mine shafts, tools and human skeletons in abundance. Coupled with this are the extinctions on a massive scale some 12,500 years ago. There is also evidence of massive earthquakes, tsunamis and sudden flooding. Myths and legends tell of great cataclysms in the past and these are written in accounts around the world. Many archeologists still hold to the concept that civilization as we know it dates from about 6,000 years ago despite the mounting new evidence, dating from the finds off Japan in 1997. Some would suggest that Atlantis was a myth, an allegory of something else, and indeed, there can be some truth in this approach which we shall examine. Yet, how do we account for massive man made structures under water off the coast of southern Japan at Yonaguni that could have been built only when they were above water. How do we account for intact caves with stalagmites and stalactites that can form only in regions above sea level? These structures are formed by seeping water filtering through limestone and not underwater where no such seepage can occur. It can be argued that these were suddenly submerged by an earthquake, but an earthquake of that magnitude would have destroyed everything completely including the fine delicate structures in the caves. In this instance, their inundation had to have another cause that was more gradual rather than catastrophic. Earthquakes of legendary proportions, such as the Good Friday Anchorage Alaska earthquake of 1964, caused tremendous damage and upheavals, yet leaving a few structures intact. There were about 100 aftershocks, some of them almost as severe as the primary quake. The largest earthquake ever recorded was a 9.5 Mw earthquake in Chile in 1960. To sink something by 400 to 500 feet so that it was now underwater from above sea level would require an earthquake of a considerably greater magnitude than a 9.2 on the Richter scale as was the case for Anchorage. Upheavals in Anchorage in their most extreme were on the order of 30 feet, far less than the 400 feet that totally submerged a massive complex off the southern coast of Japan. Underwater structures are found intact as are the caves suggesting inundation over a period of years or decades. Sudden flooding by tsunamis would similarly destroy all but the largest of structures. Both underwater temple complexes (if they are indeed that) and caves are extremely large, rivaling or surpassing current structures we know of. There are other underwater structures as well, but none so clear as those off Japan and in the Mediterranean. There is much speculation about a place called Atlantis that was a high civilization and fell due to a great cataclysm. Recent findings vindicate a great disaster that befell the Earth about 12,900 years ago that wiped out the large animals of the Americas along with the Clovis people. This catastrophe left traces in the ice and has been dated to 12,900 years ago. Traces of iridium and hexagonal diamond dust peculiar to impacts have been found in the ice cores dating to that time. However, the impact did not affect Africa as severely as it did the Western hemisphere and the north. The impact would have altered the climate, creating massive famines and die offs. The sudden heat would have melted copious amounts of ice virtually overnight and cause world wide flooding along ancient coast lines. The impact is thought to have occurred on the ancient ice cap. This fits the stories about the myth of Atlantis concerning alleged volcanic explosions and sudden inundation. However, information on what type of technology Atlantis had is found only in the strange clues that litter the world and are constantly being discovered. We don't know if Atlantis was a carbon based technology such as ours. 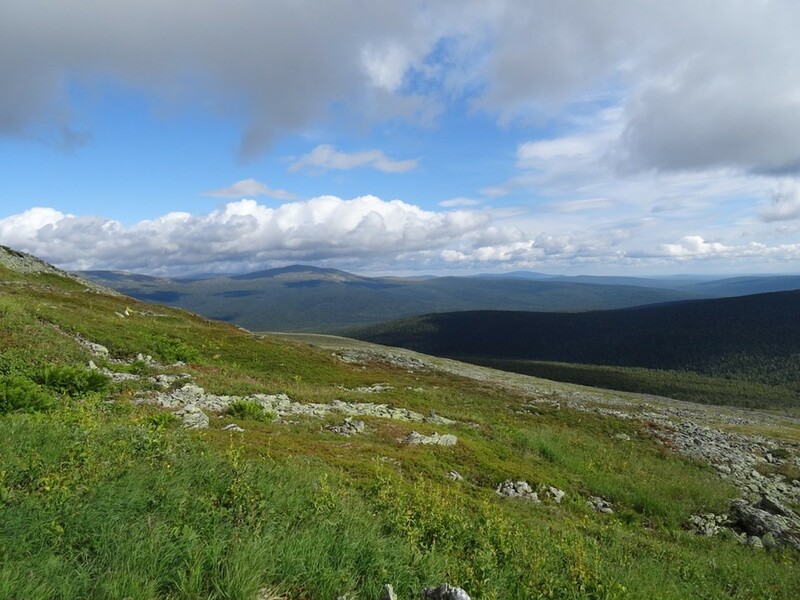 No information other than a sudden rise in methane levels in the atmosphere found in the ice cores, which could have been released at the time of impact that then radically heated the ancient Earth at that time. Information from the ice cores for our period shows our carbon impact as well as chemicals, pesticides and nuclear material from atmospheric testing. It is not known or possibly undisclosed at this point that a similar profile existed in more ancient ice dating to 12,900 to 12,500 years ago. 1. Underworld, by Graham Hancock. The Antikythera mechanism was found in a shipwreck and was found to be a perfected working celestial orrey. This work probes the Vedas, the Bible and other sources for descriptions of ancient technology. From rocket like devices, to jumbo jets, laser like devices, and other technology or the ancients, this work speculates as to what meaning can be derived from these descriptions, such as Ezechiel's vision. The book describes how those in power use technology to rule over the world as virtual gods, much like we see today. pyramids in Egypt and from around the world almost aways have a celestial function. There are not and never were 13 skulls carved of a single chunk ofvquartz and in fact there arent even 2 similar looking crystal skulls at all and the ORIGINAL skulls tale is a lie. In fact the same skull was created in Europe and sold to the man who reputedly found it and is even pictured in a catalog for sale decade before his daughter says she found it in south america on her birthday. There's a lot about history hidden from view. Knowledge is power and keeping it hidden means most must be kept ignorant and dumb. Here are the links. The videos are silent but there is plenty to think about. I don't think a lot of people get it yet but there is so much evidence that it's just a matter of time. We've hidden the past from ourselves. The links work outside of Hubpages, but they appear to have no sound or a way to up the volume. Any suggestions? I'm sorry the links don't work from this page, they are valid and work elsewhere. You can get to all of my videos by searching my name. I'll be very surprised if you've seen what is in the Africa video. Parallel channels about a mile apart covering an area the size of the state of Arizona is only one of the things that has been right under our noses this whole time. The biggest problem with accepting the wrong explanations is that we stop looking for the right ones. Just wait until you see what pyramids were for. Neither of the above links work. Besides, I am aware of the ancient farmlands in Africa and S. America. Thanks for the input and see if you can correct the links. I was surprised you were not interested in the massive irrigation in Africa. These channels are spaced about a mile apart. That is in reference to the pre-flood civilization where people had become exceedingly wicked, so God took them out with a flood. That story is in Genesis. Also there is a reference of angels coming down to mate with the daughters of humanity and breeding a race of giants. Hi, I don't recall the exact words of the passage fro the bible or just who the author was but the wording is similar to "and God said that there were great civilizations before you but I had them destroyed because of their evilness". Thanks for the link list; this should keep a lot of us busy! This collection of videos reveals the truth about our forgotten past including what pyramids were really for. They are pieces of a large video that I had originally titled "From the Brink of Extinction (Ruins of Old Earth)"
It is easier to understand them if you watch them in order. Yes it is, showing that there is nothing really new under the sun. I'm planning a piece that will describe a series of events that brought down Atlantis, caused the Noah flood and other history shaping events. truly amazing things and a great hub.